Welcome to my stop for Healing Eden by Rhenna Morgan, the second in her contemporary fantasy romance Eden Series. Please read on for my review and excerpt, be sure to check the tour stops to see what other readers thought of the title and don’t forget to enter the tour-wide giveaway where you could win a $25 Amazon Gift Card (Int’l) and an Eden Series Prize Pack (US Only) for Print Copies of UNEXPECTED EDEN and HEALING EDEN, an Eden Series Coffee Mug, Eden Series Tote, Stylus/Pen and Post-It’s and miscellaneous author swag. 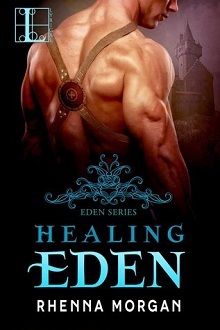 Picking up where the first left off, Healing Eden is again unique and unexpected as Rhenna Morgan gives us glimpses of Lexi and her increasing comfort levels in Eden, and the overriding plot line of good v evil is still in play, but at the core, this is the love story of Galena and Reece. 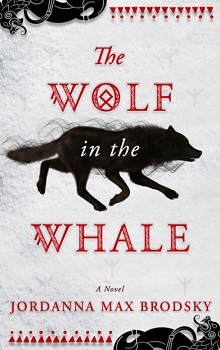 Morgan’s world building and history for the Myren that was so well-established in the first book is just as strong in this second, allowing readers to jump into the story without feeling like they are totally lost. This couple, however, has some obstacles from the get go. To start, Galena’s brother Eryx is King, she’s the healer and dedicated to helping those who need it. Unfortunately the battle for control (and the good v evil part of the storyline) is a seemingly never-ending struggle, and of course, Reese is on the wrong side. Or is he? The second in command to Maxis, Reese is a warrior for the other side. But then, Reese sacrifices himself to keep Galena safe (cue love songs, white doves and cupids) and you just know that this will be epic. But Reese wasn’t a willing participant in the rebellions, he has secrets too deep that he doesn’t want known, and is sure that he is unworthy of Galena. But apparently no one clued Galena in on Reese’s unsuitability, because she sees someone worthy of respect and trust, and even love. Add to that pile of awesomeness just waiting to be discovered, there is another player in the good v evil, light v dark battle, and these spiritu (good and bad) will push the edges of everyone’s lines, testing relationships, family ties and loyalties. There’s still a significant amount of head-hopping, less jarring than in the first title, and the story has all of those ‘moments’ that makes fans of fantasy swoon, while keeping romance fans happy: quests, battles, passion, deception, plots and above it all, relationships that highlight the real connections and hearts of those within them. Congratulations on the release! Thank you for a fun story! this was a fun one – thank you for the opportunity!